The prices are valid until Dec. 2019 ALL PRICES ARE IN €uro – incl. VAT! 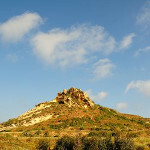 Please note that the offers are DIRECT PRICES, ie, your organized the holiday is independent as possible and directly from us in Gozo. Our booking offices in Germany, Switzerland and Austria are subject to different prices! The owners of the accommodations will have to collect this upon arrival from the guests and hand out a special receipt. 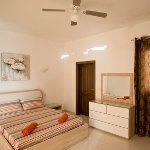 The Botanica Bed and Breakfast is a traditional gozitan farmhouse, located in the wonderful village of Xaghra, close to the Ġgantija temples and Ninu‘s cave. 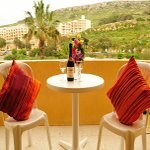 The Dolphin apartments are situated in Marsalforn and all enjoy magnificent country views and partial sea views. These apartments have two bedrooms, bathroom, kitchen/dining room, living with TV and balconies. They also provide free WIFI to their guests. This building, which is only 5 walking minutes away from the sea and our dive center, has got well equiped, cosy appartements. This Penthouse-Appartement is on the outlining of marsalforn in a very quiet area, approx. 7 walking minutes away from the Sea and the Diving-Center. Shops, Bars and Restaurants are all in walking distance. It is furnished to a very high, modern standard. It consist of 2 bedrooms, 2 bathrooms ( one ensuite ), fully equiped and modern kitchen-living-dining area. It has 2 southfacing large terrasses with BBQ and offers unobstructed beautiful countryviews towards the Citadel. Dolphin Penthouses are situated in Marsalforn and all enjoy magnificent country views and partial sea views. These apartments have one bedroom and a sofa bed, bathroom, kitchen/dining room, living with TV and balconies. We also provide free WIFI to our guests.